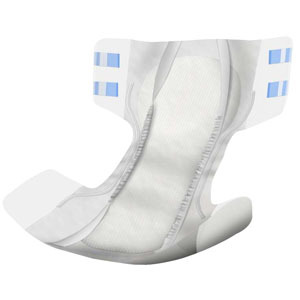 The Abri-Form L3 Premium Adult Diapers are designed with soft, breathable and non-woven side panels that improve the wearer's comfort and hold the adult brief securely in place. The flexible tabs provide ideal movement for more active individuals, and the leakage barriers at the side as well as the built-in cross barrier at the back ensure reliable protection. TENA Small Brief 22" - 36"